If you are in the market for affordable replacement windows and doors Windows Pittsburgh has a product that will meet your needs and fit your budget! We offer custom vinyl replacement windows, doors and patio doors from Alside and Provia. If you prefer the look of a fine wood window, we offer the Aeris line of wood replacement windows and patio doors from Provia. Our professionally installed vinyl replacement windows are the same high quality, name brand products offered by major window dealers at 30 to 50 percent below the full retail price! All products are sold in a professional manner without using inflated pricing, high pressure or bait-and-switch sales gimmicks. Kensington High Performance Products’ concept of building trust starts with the basics – produce the highest quality products in the most efficient manner and consistently deliver performance unmatched in the industry. 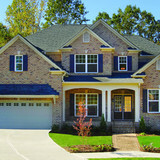 Following this plan, Kensington is the supplier of choice to many window professionals throughout the United States. No worry, no hassles, and a lifetime of home comfort and enjoyment. Vinyl window products by Kensington HPP, Inc. are the answer to drafty rooms, leaky windows, and inoperable sashes. Never worry about your windows again as our limited lifetime warranty means you will be enjoying Kensington HPP’s high performance features for years to come. See the world in a better light. Metropolitan Window Company, a family owned and operated business for over 40 years, is the Home of the Infinity from Marvin Fiberglass Replacement Window, the Best Replacement Windows in Pittsburgh. Metropolitan Windows Replacement Windows, Replacement Doors and Exterior Siding have been chosen for over three decades because of quality products, professional installation, and personal service. We specialize in a variety of standard and customized Fiberglass Replacement Windows and Doors as well as an array of other product materials, styles, and shapes to best meet your home improvement needs. Integrity Construction has built a reputation of excellent workmanship, dependability, and professionalism that is second to no other exterior improvement company in Pennsylvania. We have well-trained, experienced installation experts who are truly craftsmen in their field. If you would like to make your dream a reality, give us a call today toll free at 1-800-598-9119. Best Window & Door Company has served customers with innovation and leadership in the custom window industry since its founding in 1949. We take pride in each product we produce to earn your satisfaction. Our Replacement Windows, Doors, Retractable Awnings, Gutters, Siding, Insulation and Kitchen Refacing are expertly designed and fabricated with the utmost care, precision, and attention to detail to ensure that you are provided with year-round comfort, exquisite beauty, and long lasting durability. When dealing with Best Window & Door Company, there are no middlemen involved. Beginning with sales, to manufacturing, to ending with installation, the journey takes you from start to finish with our skilled, qualified personnel, bringing you the very best value in energy efficient vinyl windows and doors, direct from us to you. 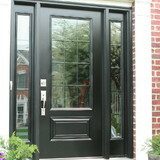 eLuxwindows is a one-of-a-kind online window and door retailer. No other company offers you products at this level of quality at our price point. Our streamlined approach is unlike any other – No brick and mortar store, minimal overhead, low mark-up and a great relationship with a large manufacturer all equates to huge savings for our customers. Simply send us your plans and provide us with a few specifications then we’ll provide a professional quote and review. We’re window folk – experts in our field. This is what we know and enjoy. Builders, Architects and homeowners have relied on our teams’ knowledge and experience for decades – now we’re bringing it to you. A knowledgeable professional can help design, guide, and provide value to your home in a way that’s unrivaled from lumber yards or big box stores. We’ve worked with builders on projects and prices ranging from simple and straightforward to elaborate and luxurious. Making the right choices and getting properly educated can enhance a home’s aesthetics, comfort and functionality. We know how to provide the right product for your project. Put your trust in us. Custom window treatments, draperies, blinds, shades, manual, motorized, logo, child safety. With 50 years of experience in the vinyl window manufacturing industry, Thermal Industries, Inc. has developed an extensive line of high quality, ENERGY STAR® qualified Vinyl Replacement Windows and Patio Doors that help millions of homeowners to live more comfortably while saving money on their heating and cooling bills. Shawnee Vinyl specializes in making the exterior of your home more beautiful and energy efficient with our low maintenance products. Since 1997, thousands of homeowners have chosen Shawnee Vinyl for their remodeling needs because of our reputation for workmanship, friendly customer service, and overall customer satisfaction. Our success is based on the trust we have developed with our customers and the quality of our products and installation services. We take pride in our work and want to make your remodeling experience as rewarding and hassle-free as possible. From start to finish we strive to take care of all the details of your project. Two distinctions set us apart from other contractors. First, we manufacture our own windows. No middleman is involved. Second, we utilize only our own employees to professionally install our products. Both distinctions provide us greater control over the quality, cost, and scheduling of your project. Come visit our showroom and take a first hand look at the many options we can provide to improve the beauty and value of your home. Or just call for a free, no-pressure estimate. Welcome to Universal Windows Direct of Southwest Pennsylvania! Universal Windows Direct of Southwest Pennsylvania is a locally owned business that services the Greater Pittsburgh area, including Allegheny and Washington Counties. Universal Windows Direct is the sole provider of our Exclusive UniShield vinyl replacement window. We will provide you with the highest quality Windows in Pittsburgh, installation and customer service for the best value. 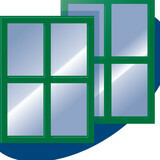 Universal Windows Direct has Pittsburgh's best replacement windows! Contact us for a free in-home estimate or more information about our 0% financing option. Since 2006, customers just like you have depended on us for quality replacement windows, doors, vinyl siding, & pergolas. Best of all, we back our products with our industry leading warranties. You can count on attention to detail when you choose us. That's because we provide you with the same reliable level of service we would give our family members. Experience the Universal difference for yourself and see why we say: The price reflects when you buy direct. Request a quote from us in Pittsburgh, Pennsylvania, and let our windows, patio doors, entry doors, and vinyl siding options accent your home. Owned and operated by Patrick Coburn since 2003, Patnic Construction Company remains committed to its goal of providing quality residential and commercial construction and remodeling services to the Pittsburgh, PA and the surrounding areas. Patrick had worked at another construction company for seven years before he decided to venture out on his own. His interest in the construction field started when he was in high school, working part time as a construction laborer. After high school, Patrick got into a commercial construction company in the DC area, starting out as a helper. Patrick gained valuable experience as he stayed with them for five years before moving back to his hometown in West Virginia to explore other business options. Upon returning to West Virginia, Patrick dabbled in various career options looking for a job that made him happy. After working with culinary arts, Patrick was introduced to the home improvement field where he thrived, and that was how he took what he had learned from this exploration phase, applying it to his natural craft in construction. Essential to your Indiana, PA home’s beauty, function and feel, windows are one component that should never be overlooked. When they aren’t doing their job, you’ll know it, and the resulting leaks, drafts or other problems can be costly to rectify. Hire a trusted Indiana, PA window dealer to help you select and install your windows, and you’ll enjoy the rewards of your smart investment for years to come. Whether you’re building a new Indiana home, remodeling an old one or just replacing a few windows that are past their prime, your window dealer in Indiana, PA will help you pick the right windows for your needs, home style and budget. Windows come in so many sizes and types that expert advice and direction is invaluable in helping you make the best decision. These pros can also help you with custom window designs that complement your space better than something ready-made. Lastly, if you are interested in doors with windows, these experts are also knowledgeable about sliding doors, French doors and other paned portals. Find a window dealer on Houzz. Narrow your search in the Professionals section of the website to Indiana, PA window dealers. You can also look through Indiana, PA photos to find examples of windows that you like, then contact the window professional who worked on them.